John Mason's professional certifications and accreditations. How do you know if you’ve picked the right removals company? Well one sure-fire way getting it right is to look for industry accreditation – like that offered by the British Association of Removers or the International Federation of International Movers (FIDI) . Being a BAR or FIDI member says a lot about a company because it means being part of a initiative dedicated to promoting excellence in the removals industry. It also offers movers a great deal of protection. We would strongly recommend never to use a UK international moving company who is not a member of either. The International Federation of International Movers (FIDI) is the largest global alliance of professional moving companies. All FIDI members need to have FIDI FAIM certification which is the industry’s leading quality standard. 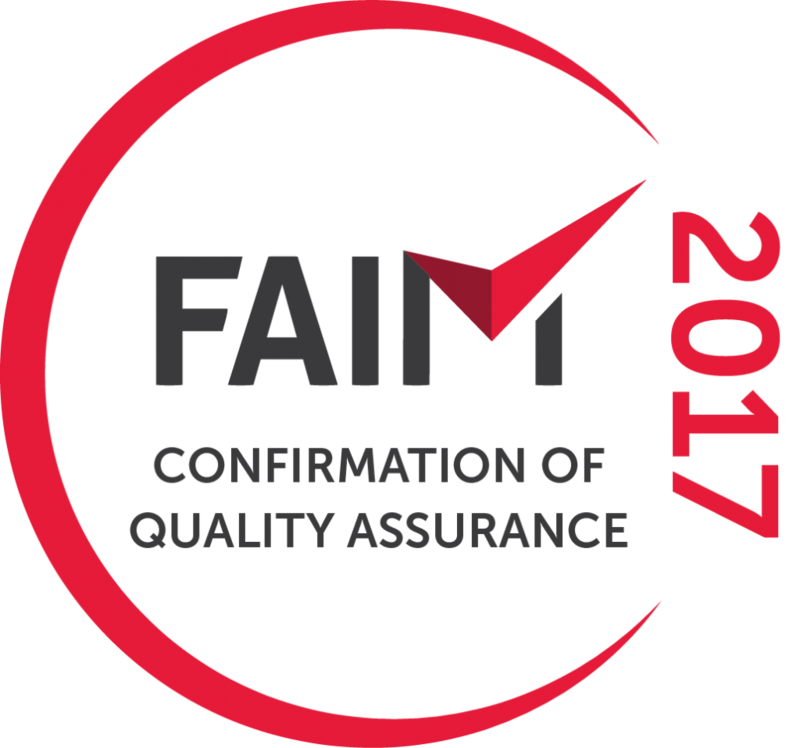 FIDI FAIM accreditation is only awarded to companies who have been independently audited and who have proven that they satisfy the most stringent, industry-specific standards of customer care. FIDI FAIM certification is a quality guarantee for your move, giving you peace of mind that you are dealing with a professional moving company. The British Association of Removers is the UK’s professional trade association for the removals industry. The BAR Financial Guarantee is a vital part and requirement of any international move. It is an advance payment guarantee system that covers the financial protection of your shipment costs and ensures that your shipping charges are paid whatever happens to the company shipping them. John Mason International, through their membership of the BAR Overseas Group, can offer this cover to you at no extra cost. John Mason International Limited is an authorised member and agent of The Movers Trading Club Ltd (MTC) which is a Foreign (non-USA) based ‘Non Vessel Operating Common Carrier’ (NVOCC) registered with the US Federal Maritime Commission (FMC), organisation number 027552. The Furniture Ombudsman are an independent, not-for-proﬁt, government approved Ombudsman set up by the Government in 1992.